Chris and Tom discuss a month’s worth of Age of Sigmar reveals, their own plans for second edition, batch painting, non metallic metals, and more. 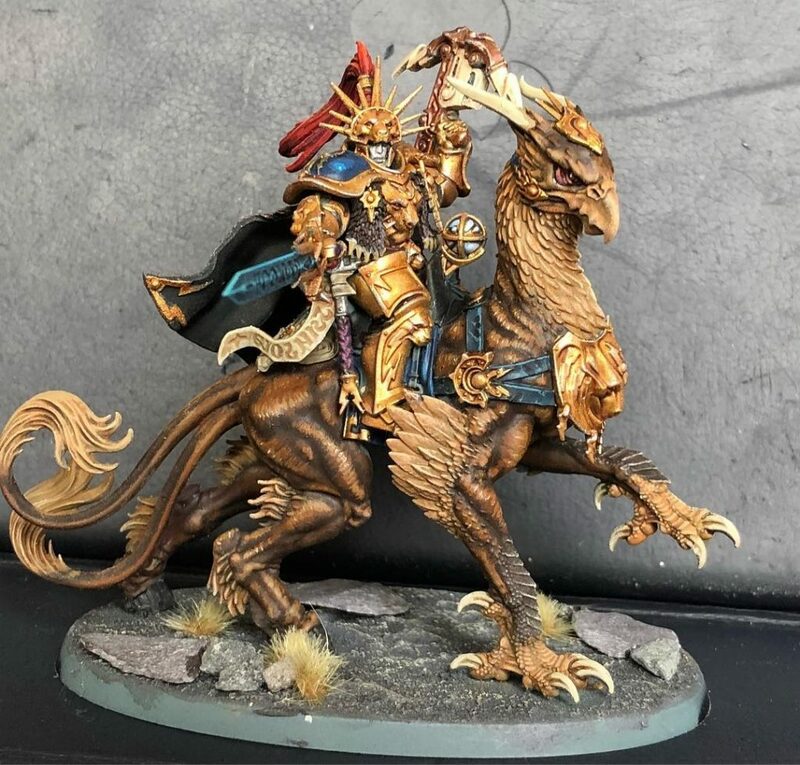 Since we recorded this episode last weekend, Games Workshop have helpfully taken the lid off the Stormcast and Nighthaunt Battletomes, two sets of new heroes, Stormcast-specific Endless Spells, and so on. As such, some of our speculation has been outed as nonsense faster than normal. For this, we can only apologise. Tom’s Lord-Aquilor continues a fine horse winkin’ tradition. The completion of Tom’s Palladors marks the beginning of the end for his shame pile. Imagine! 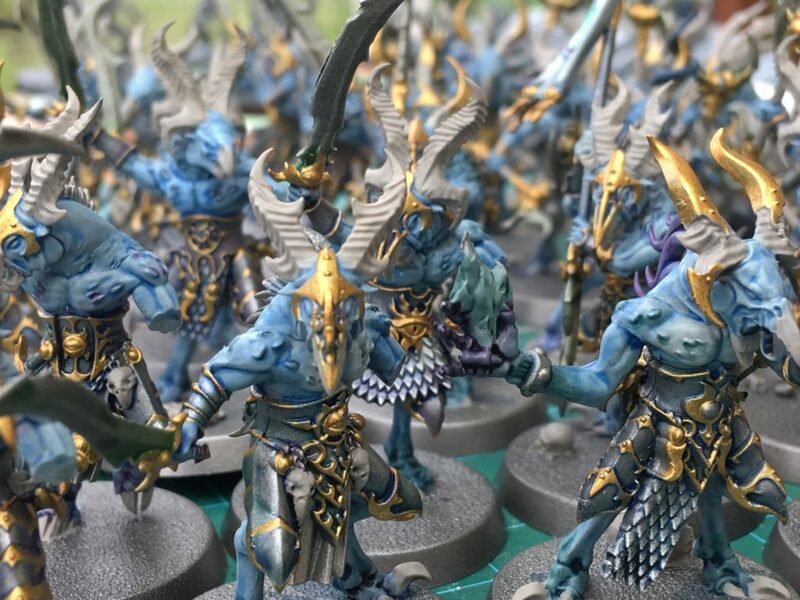 Chris’ endless horde of Tzaangor. They’re a few steps further along now than they were when this photo was taken. 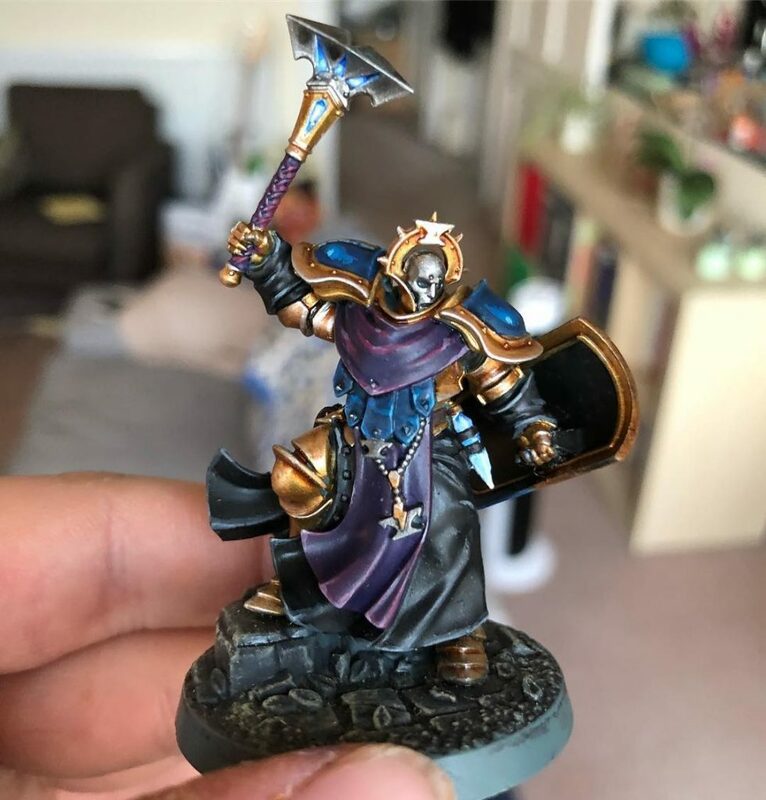 Here’s Chris first go at non-metallic metals, a Stormcast Sequitor. 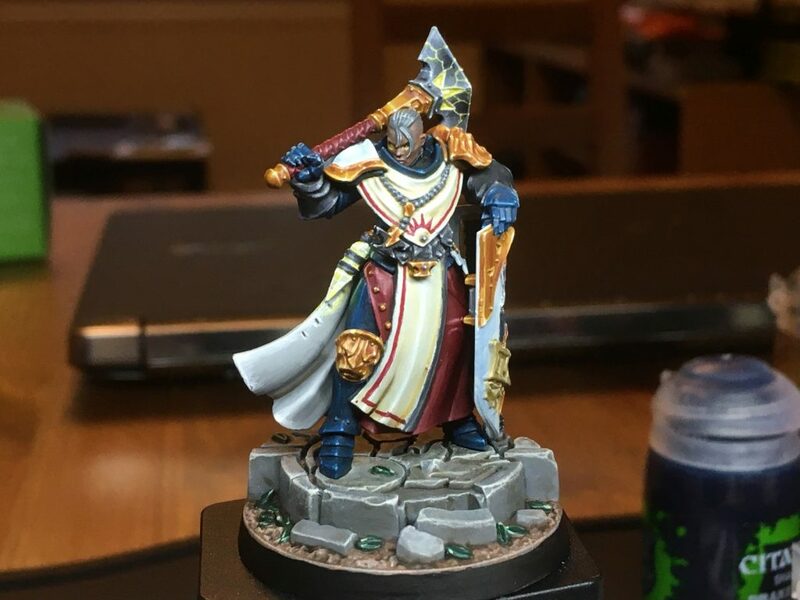 After we recorded this episode, Tom painted his own Sequitor. Here it is! Follow Miniatures Monthly on Twitter @MinisMonthly for more pics of our projects. Otherwise, can find Chris on Twitter at @CThursten and Instagram as Exitwarp. Tom’s on Twitter at @PCGLudo and Instagram at LudoPaintsMinis. Our intro music comes courtesy of Mike Debenham. If you’d like to get in touch, you can contact us at miniatures@crateandcrowbar.com. If you’d like to become part of our Discord community, click here – the channel you’re looking for is ‘rollmodels’. You can listen to this episode on YouTube and find all other episodes in the series via this playlist. This podcast is made possible by the Crate and Crowbar Patreon. 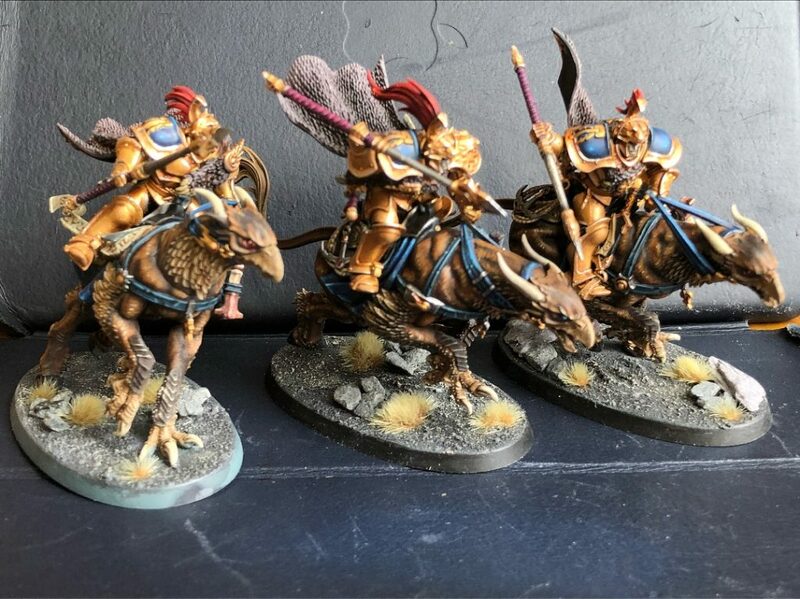 You can also support us by rating and reviewing the podcast on iTunes or by recommending us to a miniatures-minded pal. Thanks for listening, everybody. Miniatures Monthly will return in the next few weeks!